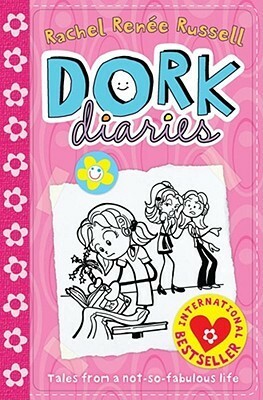 Dork Diaries by Rachel Renee Russell is a series of books that are written by a little girl by the name of Nikki Maxwell in a diary way. The books are telling the reader about Nikki Maxwell the main character in the book and what she does in her life i.e. Hanging out with her friends Chloe and Zoe. She also has a secret crush by the name of Brandon Roberts who also likes her secretly too. However there is a really mean girl who likes to tease her and make fun of her. Mackenzie Hollister who is her enemy is a selfish girl who only thinks about herself and treats her fiends horribly. Let’s just say you wouldn’t want to hang around with her. There are loads of different book like skating sensation, puppy love, TV star, how to dork your diary, how to make and write your own diary and so much more. I hope after reading this you will like to read these books and then say your opinion about it to.